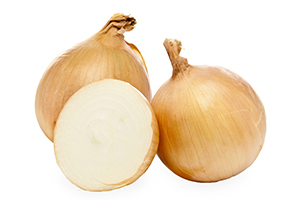 Now in their second season, Sunions onions are available at stores again. The first tearless and sweet onion Grown in the US will hits shelves in select retailers across the country starting this winter. The Game-Changing Product of More Than 30 Years of Research and Development Premiered at the Produce Marketing Associations' Fresh Summit Tradeshow in New Orleans in October.